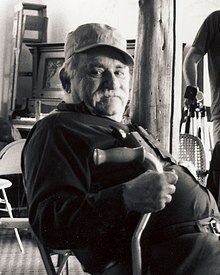 Murray Bookchin (Novi Eboraci die 14 Ianuarii 1921 natus; mortuus Burlingtoniae Viridis Montis 30 Iulii 2006) fuit Americanus anarchisticus libertarianusque socialisticus scriptor, orator, philosophusque. Ille, matutinus rerum oecologicarum princeps, theoriae criticae oecologiae socialis studuit. Plus quam viginti librorum conscripsit de civilitate, philosophia, historia, vita urbana, necnon oecologia. Annibus 1990 elementa semper magis aesthetica, denique apolitica, sui temporis rerum anarchisticarum Bookchin ab anarchismo expulerunt (vide anarchismum aestheticum, Anglice lifestyle anarchism), seque anarchistam appellare destitit. Propriam socialismi libertariani ideologiam instituit communalismum nominatam. Bookchin capitalismo adversabatur decentralizatamque oecologiae democratiaeque congruentem societatem sollicitabat. Scriptis suis de municipalismo libertariano tractantibus – theoria democratiae congressibus (assembly) coram habitis factae – greges in motibus socialibus oecologicis et anti-capitalisticis versantes et actioni directae? faventes, velut Reclaim the Streets, adfecit. ↑ Small, Mike. "Murray Bookchin", The Guardian 8 Augusti 2006. ↑ John Muir Institute for Environmental Studies, University of New Mexico, Environmental Philosophy, Inc, University of Georgia, ‘'Environmental Ethics’’ v.12 1990: 193. ↑ Biehl, Janet. "Bookchin Breaks with Anarchism." "Communalism" October 2007: 1.